Which Type of Weight Training is Right For You? Do you want to add muscle? Gain strength? Build endurance? The type of weight training you do will affect your results. Everyone knows that weight training makes you stronger. No one is debating this, but certain types of weight training can produce dramatically different results. Even the type of equipment used can affect the results of your training regimen. Some types of weight training will increase your maximal strength, whereas others will improve endurance. There are even methods of weightlifting that will do little for you in the way of strength and endurance even though they produce significant superficial results (Also known as the “beach bod” that everyone is looking for). 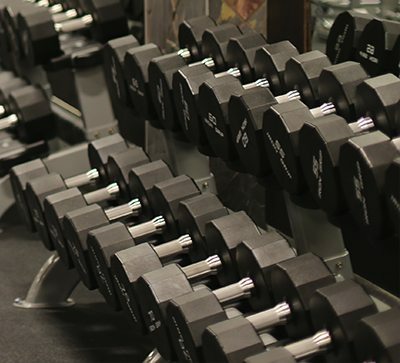 By knowing the differences between the types of weight training and equipment used, you can pick the one that best suits your needs. Bodybuilders train in a specific manner to achieve a specific goal — making their muscles bigger. They tend to lift in the eight- to 12-rep range and only train one muscle group per day, per week. This type of training is the best for making your muscles larger but not necessarily stronger. That’s not to say bodybuilders aren’t strong, but they just aren’t as strong as some other athletes because their goal is aesthetics, not athleticism. Power lifting is the best type of training for maximal strength — what many people would consider “brute” strength. A power lifter’s goal isn’t appearance, it’s strength. Power lifters focus on lifting an extremely heavy amount of weight for only a few repetitions. Circuit training is when you do a number of exercises in quick succession, usually lifting a light amount of weight for a high number of repetitions. For example, doing 20 bench presses, 20 squats and shoulder presses with little or no rest in between. This type of training is ideal for burning fat, increasing endurance and making some gains in strength. Circuit training is popular among fighters because it simulates what your body goes through in a wrestling, boxing or mixed-martial arts match. Isometric weight training is when you hold a weight up in one position for a given amount of time without going through a range of motion. For example, holding a dumbbell straight in front of you for 30 seconds. This type of training increases your stamina and makes you stronger in the positions you hold. It is ideal for athletes, such as rock climbers and gymnasts, who have to support their bodies in one position for a long period of time. High volume training is similar to bodybuilding in the sense that you only work your muscle groups once a week. This type of training places a strong emphasis on increasing muscular endurance one exercise at a time. Not only does it make your muscles larger, it also makes them better at keeping up a certain amount of resistance for a long period of time. It is done is by performing one exercise at a time, lifting the same amount of weight 10 times for 10 sets. Each week, you try to increase the amount of weight slightly so that you become a little bit stronger every time you do it.